Top colour Merelani Mint Garnet. The surface is quite irregular, but the stone is clean. As a curiosity, there is a small piece of graphite matrix attached. 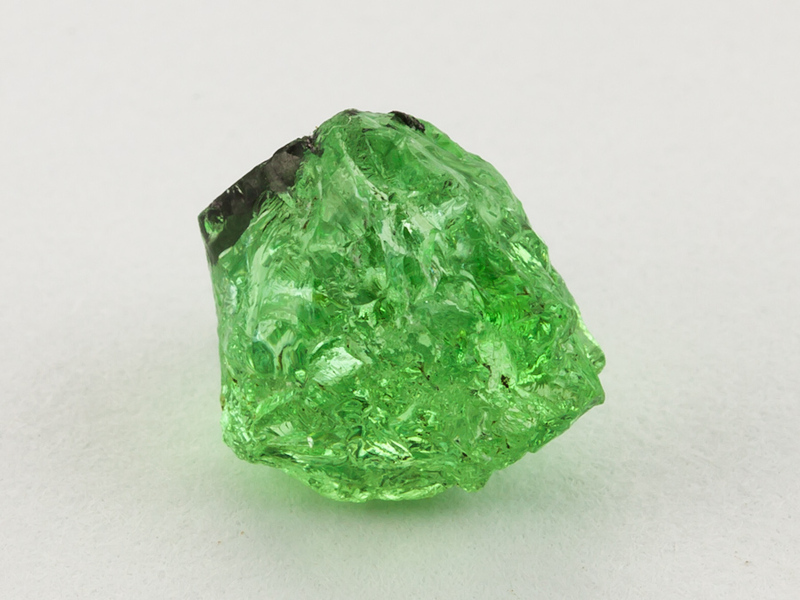 Rough grossular garnet of this quality has become exceptionally rare in the marketplace.